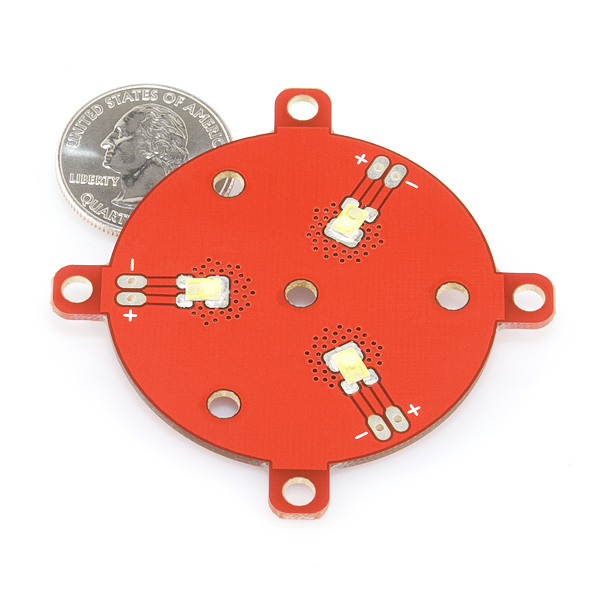 This is a simple breakout board of three high-intensity Luxeon Rebel LEDs - all white in color. This latest version is built with even brighter LEDs than the last! 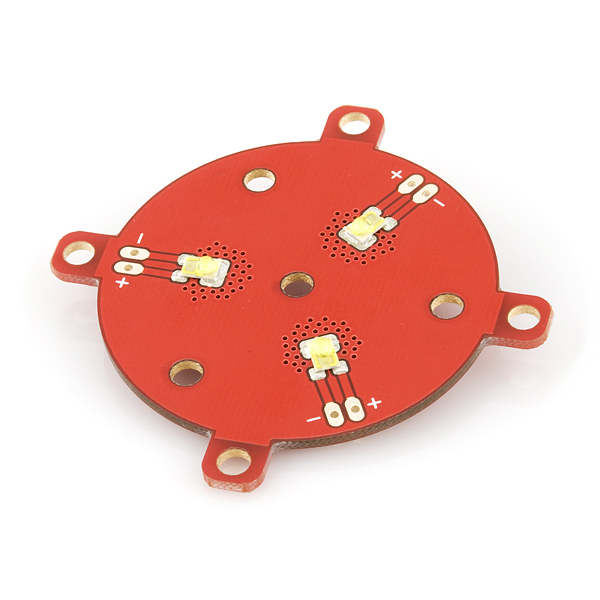 This breakout board fits both our narrow and wide triple-LED lenses, the drill holes and LED placements fit those lenses perfectly. 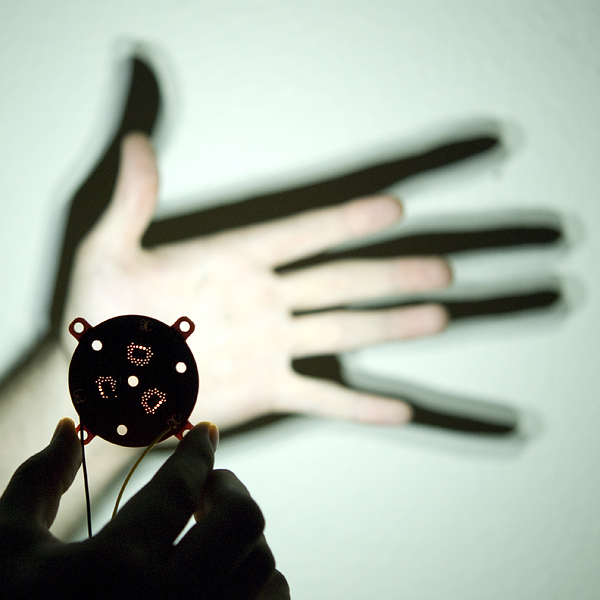 These lights are extremely bright, with supply currents between 350mA and 700mA. 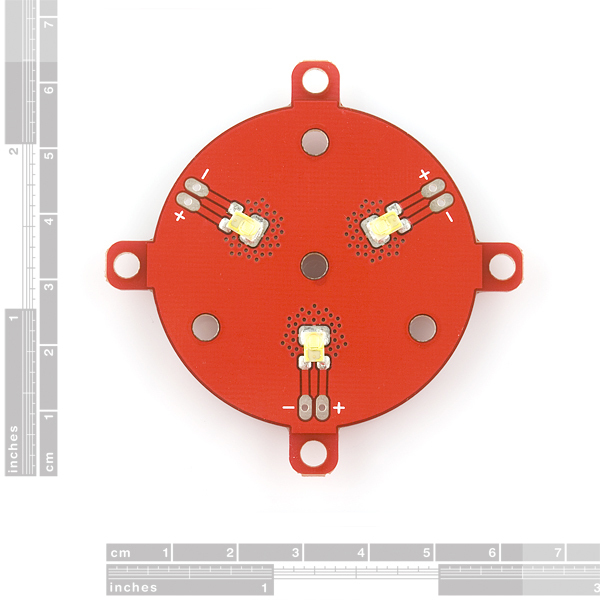 The board can therefore dissipate close to 6.5W. A heatsink is recommended (check below). I don't understand why you have thermals around the thermal pads. Doesn't that defeat the purpose of the heatsink plane? Exactly. All the heatsinking in the world, and all those vias are for nought if the heat has to go through the board. 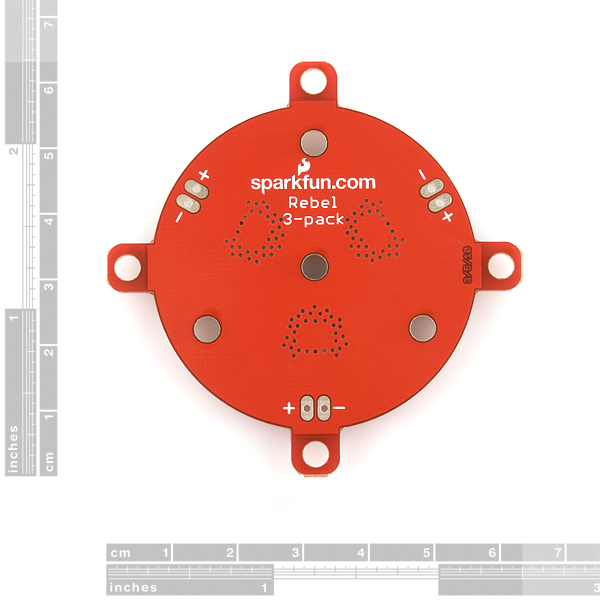 Hey SparkFun people, howabout an answer on this? Is this an old picture, or is the thermal pad still thermally isolated from the pour? You could probably go ahead and update the text to reflect the fact that the heatsinks and driver boards have been available for an age.